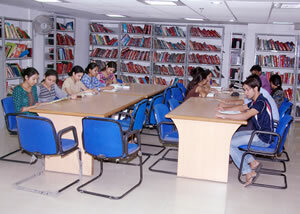 The Library has shifted to its new premises in the hostel basement during the month of December/January 2009. The library is being developed on modern lines in collaboration with CPWD engineers. Students, professionals and doctors of other institutions can also refer and avail the library facilities by becoming reference members. Number of Books: There are 10431 titles of professional and non professional subjects in library as on 31st March 2010. During the year, 275 new titles of professionals subject were purchased for Rs. 5, 15,035/- only. Subscription of 10 professional Journals in the field of OT/PT/POE was renewed and payment of Rs. 1, 81,125/- was made to M/s Central New Agency. 48 issues of professional foreign Journals were subscribed in the library. The library is providing reference service, Internet facility, and photocopy services to library clientele. Rs. 12434/- and Rs. 596/- were deposited in Accounts sections as photocopy and internet charges. 108 presses clipping on disability and others related subjects were displayed on the library notice board. The Library remains open from 9 A.M. to 8 P.M. on all working days i.e. Monday to Friday and from 10.00 A.M. to 4.00 P.M. on Saturdays. The Library services were availed by 14913 users. The issue and return transactions during the year 2009-10 were 9209 and 8517 respectively..